Sturgill Simpson just took home the title of Best Country Album at the Grammys for last year's A Sailor's Guide to Earth, and he seems to be using the boost in name recognition to make a political statement. In his new video for "All Around You," the non-conformist country dude presents the story of a young cape-sporting kid championing the fight against a suit and red tie-wearing political monster. 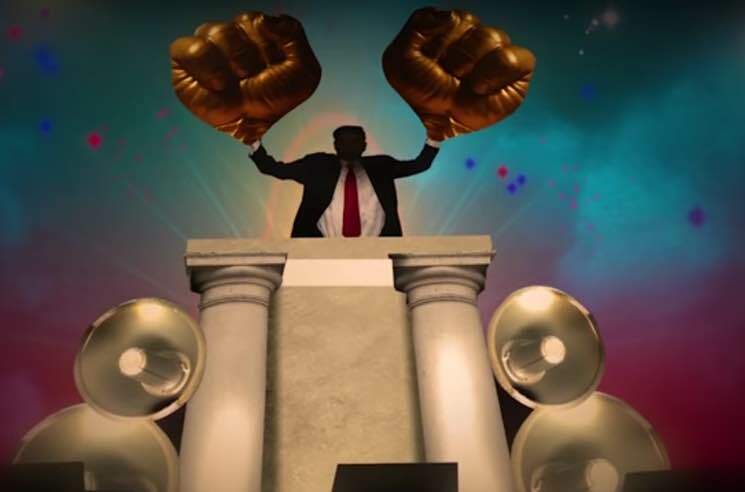 The leader in question even sports some massive gold-tinted boxing gloves, though it's not explicitly clear just how small the hands they're hiding underneath are. Ultimately, the youngster with a literal heart of gold guides the masses right through a wall, making for a touching (if not at all subtle) metaphor. Watch love trump hate in the video for "All Around You" below.